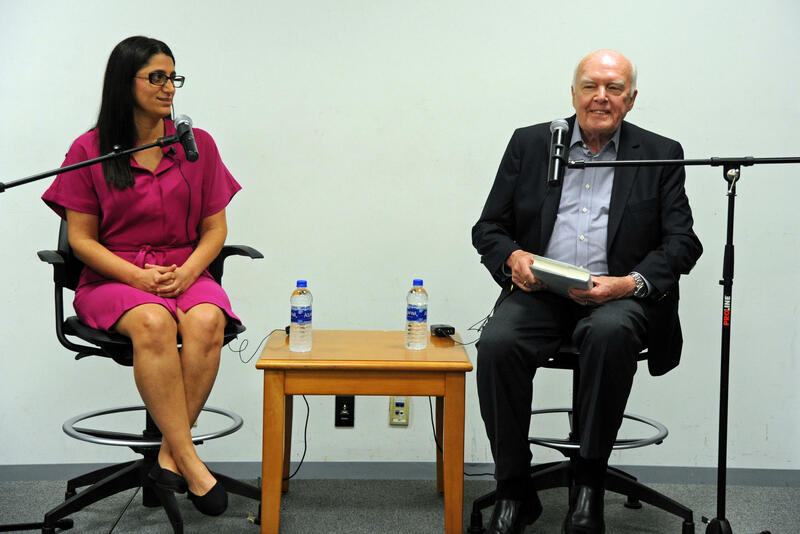 Dr. Mona Hanna-Attisha talked with Don Marsh about her book, “What the Eyes Don’t See: A Story of Crisis Resistance and Hope in an American City” at the St. Louis County Library on June 28. Hanna-Attisha told Marsh and the audience how she learned the water was contaminated and how she bucked scientific protocol to make her findings public when officials ignored and discredited them. There were multiple causes leading to the problems in Flint. But since lead in plumbing was legal until a few years ago, even in a region such as St. Louis that has good drinking water, there can be lead issues. Hanna-Attisha offered advice to minimize lead contamination in the home. Listen to the complete conversation for more of Hanna-Attisha’s suggestions on dealing with lead and preventing other public health issues.